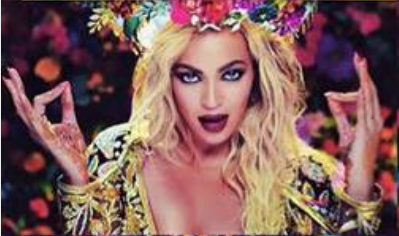 Would You Like to Attend a “Beyonce Mass”? | Have Ye Not Read? Progressive Christians, huh? So that’s what they’re calling outright blasphemy now. Of course, this kind of mixing of worldly music with Christian worship and communion service is nothing new. It was over ten years ago that the Church of England as well as the U.S. Episcopal Church announced they would allow the so-called “U2charist,” which is the taking of the holy communion accompanied by U2 songs instead of traditional Christians hymns of praise to the Lord. In one of their most famous albums, Joshua Tree, in a song titled “In God’s Country,” the band unabashedly sings “She stands with a naked flame. I stand with the sons of Cain.” In other words, U2 stands with the many-membered body of antichrist, which is largely made up of the sons of Cain and their followers. Of course, that’s not surprising, since the vast majority of the Christians churches today unwittingly stand with the sons of Cain, as well, erroneously believing them to be “God’s chosen people” (i.e., Revelation 2:9 and 3:9). I’ve recently commented that Satan’s program for bringing about one-world unity among all people – which is known in occult circles as his “great work” or “magnum opus” — is being accomplished through the blending of polar opposites combined with the mixing of good and evil until a “synthesis” is achieved resulting in a “global transformation” in which everyone is finally “equal” because they’re indistinguishable from one another. Of course, Satan’s “great work” only corrupts and debauches God’s children, making them unfit for the Father’s eternal family household. And that’s exactly Satan’s plan, i.e., the corruption and debauchery of God’s children so they’re so deeply steeped in sin and spiritual confusion when Christ arrives, they can’t be part of the first resurrection. That way, Satan gets a second chance at them at the end of the millennium teaching period (Revelation 20:7-9). His ultimate goal is to take as many of God’s children as possible to hell with him at the time of the great white throne judgment (Revelation 20:10-15). In contrast, God’s program for redeeming and unifying His children is through humble submission to Jesus Christ and His redeeming grace. Knowing the modus operandi of the enemy allows us to more effectively teach against, and take a firm stand against, the “wiles of the devil” (Ephesians 6:11).